AvailabilityGuard/Cluster provides IT organizations with a new approach for eliminating configuration issues in Unix clusters—the kind of issues that could cause a cluster to fail. It continuously monitors your cluster configurations in a non-intrusive mode, identifying risks such as missing mount points, cluster nodes that are missing patches, storage that is not correctly mapped to all of the nodes, and thousands of other potential failure points. While writing your own scripts is a valid approach, AvailabilityGuard/Cluster provides an out-of-the box solution that typically proves to be more cost-effective and far more comprehensive than do-it-yourself efforts. Detect infrastructure configuration issues that put cluster failover at risk. Alert the appropriate team when errors are discovered. Correct downtime and data loss risks before they impact your business. The AvailabilityGuard dashboard provides immediate visibility into availability risks caused by cluster configuration discrepancies and their potential impact on critical business services. From the dashboard, you are just a click away from detailed information on any issue. Automated notifications and alerts are sent to the appropriate resources when availability risks are uncovered, allowing your IT teams to proactively address issues rather than firefight outages and costly business disruptions. To ensure issues are tracked to resolution, AvailabilityGuard automatically creates an actionable trouble ticket, including a detailed description of the problem, its potential business impact, and suggestions for remediation. Trouble tickets can be also generated in your existing IT management system (e.g. HP OpenView, CA Unicenter, Tivoli). Setting up AvailabilityGuard/Cluster is extremely simple and could be accomplished in less than a day. At the end of this process, the AvailabilityGuard Risk Discovery Engine™ will begin scanning your cluster configurations for High Availability vulnerabilities every day of the week, and automatically test the validity of your HA configuration against a Risk Signature Knowledgebase™ of over 5,000 potential vulnerabilities updated on a weekly basis. The uncertainty factor has been eliminated and we now feel more confident that the IT infrastructure configuration is aligned with our HA/DR recovery goals. 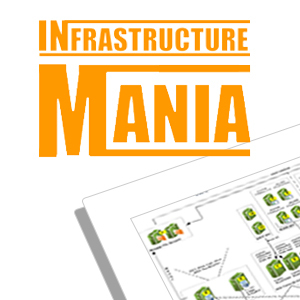 Are you ready for the Infrastructure Mania?